Discussion in 'Other Sports' started by BGRed, Jul 17, 2018. Draw to be held next Saturday. World Cup Draw tomorrow on FS2 (11 AM) - will be captivating television. We'll be the top seed in a group and get one of each of the other four Pots. Numbers are their world ranking. No group can contain more than one team from each confederation apart from UEFA, which have nine teams, where each group must contain either one or two UEFA teams. A decent draw for us; but, with Sweden for the 6th time in group play. Top two move on for sure and the third place team has a chance as well. 24 total teams for 16 knockout spots. US Women lost their 2019 friendly opener to France, 3-1, in France. 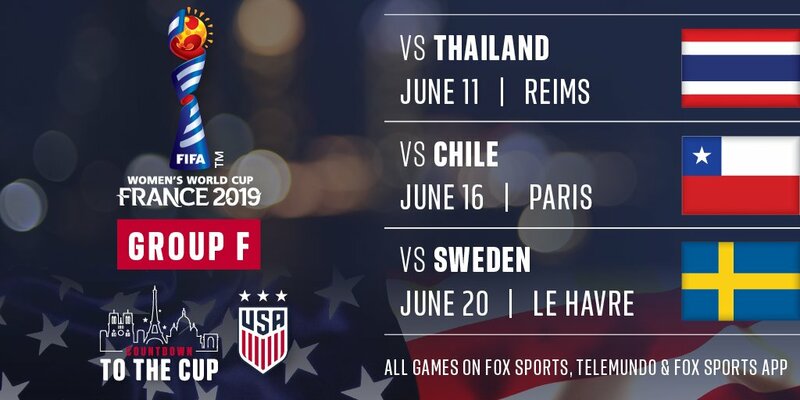 Several US starters were out of the lineup due to illness or injury and France is #3 in the world, Not an impressive showing for sure; but, at least there are explainable excuses for the loss. Up next is a match in Spain on Tuesday. 1:30 PM US Central time on ESPN2. Then, it's off to the World Cup in early June. Games start this week. US is still ranked #1 in the world, but lost to #3 France earlier this winter. Japan is #8, England #4, and Brazil #10. 1st and 3rd games on FS1, England game on regular Fox. With one game to go in this prep tourney against high quality teams, I am not getting a great feeling about our chances to repeat as World Cup champs. We need the top two teams to draw (tie) and also beat Brazil by 3 or more goals to win the thing. Final matches are on Tuesday.